When the 2018 Nissan Maxima first came to market, people wondered what Nissan would do to counteract some of the competition. 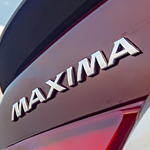 However, it turns out their engineering team knew exactly how to make Maxima one of the top 5 large cars on the market, according to US News & World Report.Ranked as number 5 in large cars, it’s easy to see why. The 2018 Maxima is a beautiful sedan with luxurious interiors and a lot of performance. At base, you get a 3.5-liter V6 engine that puts out 300 horsepower. Drivers find the new handling and suspension system on par with other vehicles, but it’s smoother than previous Maxima models. Want to test drive the new Maxima and see the performance for yourself? Stop by Nissan North to get a look at the all new Maxima and feel the power of the latest lineup from Nissan.